If you like your heavy metal with a serious dose of blues, then this band Iron Claw is just what you’re looking for. They originally toured the UK between 1969 and 1974, but never officially released an album, and finally disbanded. In 2009 at last there was the release of a self-titled CD by Rockadrome. 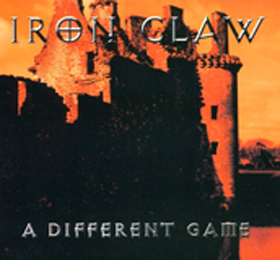 When Ripple Music were planning to start an own record label, they immediately thought of Iron Claw, and contacts were made. As it happened to be, the band also had plans to reform, and so they did. The three original members, Ian McDougall (drums), Jimmy Ronnie (guitar) and Alex Wilson (bass) were joined by Gordon Brown who would handle the vocals. And starting from the basis they had in their 60-ies and 70-ies songs, they went on to record this brand new album. So what can you expect: some vintage sounding heavy rock, deeply influenced with blues. The type of music that sounds best when played live in a small club.